Introducing a unique way to support FIRST thru your monthly electric or natural gas utility bill. 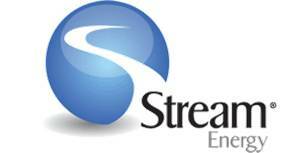 Thanks to a partnership with Stream Energy, and the Power UP! program for non-profit organizations, you, your friends, and your family can help support FIRST each and every month of the year. Convert your energy provider to Stream Energy, and THEY will donate on your behalf to FIRST each and every month you remain a customer. No cost to sign up……..Competitive utility rates……..No change in the reliability of your service. Program is open to any resident of Texas, Georgia, Maryland, New Jersey, New York and Pennsylvania. So….spread the word! In just a few steps, you can lower your energy bill and also support the important work of the Foundation. Have your latest utility bill in hand. Log onto our dedicated secure website at http://firstskinfoundation.streampowerup.biz and click on the ‘Request Service’ button at the bottom. Follow the instructions to determine that your home can actually convert to Stream Energy Service. Review the available plans (fixed/variable), compare rates to your current provider, and select what’s best for your family. Complete the registration process (approximately 10 minutes) and get your new customer number. You will also be provided with a toll free number (either on screen, or via a follow-up email). Call the number and follow the prompts to verify that you are requesting a service change. (approximately 5 minutes) This is a quality control check required by law. Pay any last and final bill from your previous provider. Start paying the Stream Energy bill when it arrives like any other monthly bill you have. Contact Mark Klafter (contact information on the dedicated POWER UP! website for FIRST) with any questions before or during the process. Tell all your friends, family members, business associates, that live in Texas, Georgia, Maryland, New Jersey, Pennsylvania, or New York about how they can support FIRST ! !